Summer Activity: Back Pain, Neck Pain, Sciatica! What to Do? Back and Neck Pain common in Summer Warriors! Back and neck pains arise from many of causes – from acute injury to chronic arthritis to hereditary misalignment to even serious conditions such as cancer. Summer is a good time to get in good shape, but we commonly overstrain ourselves. 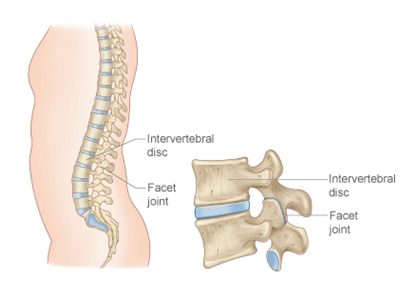 If you want to know more about medical aspects, read on at…..
To understand injuries or acute spasms, lets explain something about the structure of the spine. Fundamentally, the back is a stack of bones with wing-like protrusions interspersed with shock absorbers made of fibrous cartilage. The whole stack is stabilized by ligaments that allow small elastic motions. The spinal column arising from the brain is located in the center of these vertebrae and shock-absorbing discs. Nerve endings radiate from the spine outward to animate the body –transmitting signals for muscle action and sensory signals going back to the brain for touch, heat, position, and naturally pain. Finally, the entire stack is surrounding by a complex collection of muscles used to turn, bend, stretch, and lengthen the stack. Acute back spasm is one of the most common complaints seen in medical practice. Truly agonizing,it may happen soon after getting out of bed in the morning, from just bending over the way you have done routinely every day, from lifting something at an awkward angle, etc. Golf is one of the most common causes of such acute spasm. The spasm is so intense that you fall to the floor and have great difficulty getting up. Facet joints face each other with smooth surfaces; when muscle spasms jam then together a vacuum forms – the same way that when you press your palms together you feel a pop as you release. This vacuum compresses facet joints together and causes pain. That pain causes more spasm, jamming the joints together more, causing more muscle spasm….. and the process goes on. A vicious cycle! A common recommendation is to apply ice on the injury for 5 to 10 min every hour using an ice pack or a bag of frozen peas. This reduces swelling from the injury. Later, a heat can be applied to help relax the muscles and reduce spasm. Frustratingly, this still leaves facet joints jammed, so the whole process keeps relapsing. As many users of MDinyourHand already know, an eRemedy properly chosen through https://eremedyonline.com/module/23/back-pain/ rapidly relieves every level – pain, swelling, spasm, etc. You may also want to visit a chiropractor. Their manipulation produces a little pop as the facet joints are released, breaking the vicious cycle and giving rapid relief. Sports doctors commonly use traction. For low back spasms, a tilt table that tips you upside down, hanging you by the heels, stretches out the back for traction. For neck spasms, a fitted collar pulls the head away from the body. What can be done to prevent such spasms? There is a highly effective method that requires minimal effort – Pilates. When correctly done, Pilates powerfully strengthens “core” muscles that surround the mid-torso. They stabilize motion between the chest and pelvis/hips, and upper thighs. Most significantly, they strengthen para-spinal muscles that straighten and lengthen the spine. A few Pilates sessions a week, 20 minutes at a time, tone all these muscles. Resulting stability prevents back spasms. More importantly, when a spasm does occur, power in these muscles enables you to lengthen and stretch your spine in the moment, creating instant relief! One warning: Learning Pilates by YouTube or video cassette — even in a group class — may lead to improper form. Just copying form does not mean that you are using the muscles correctly. A better strategy is to have a few sessions one-on-one with an instructor who can put his/her fingers on your muscles to determine that you are learning the form properly. Once you get the sense of that form, you are on your own! Sports, heavy lifting, and particularly golf can lead to sciatica, not related to discs per se. 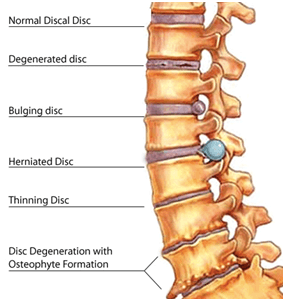 Discs are the shock absorbers between vertebrae without grinding bones together. When too much pressure is put on the discs, they are designed to bulge. Sometimes fluid inside may even herniate to the outside. These put pressure on nerves, causing excruciating pain. Muscles then spasm, jam the facets together and cause more protrusion. Another vicious cycle ensues. Sciatic pain radiates via this mechanism from a point in the lower spine down the leg. Pain may go part way or all the way to the feet. If a nerve is impinged upon directly (not just pressed on by swelling), even eRemedies from Coherence Apps won’t help much. Physical therapy and even surgery might be indicated. In order to decide exactly what is going on, doctors usually order an MRI (magnetic resonance imagery), an X-ray-like procedure which does not involve radiation. This shows the discs in detail. The MRI can tell whether protrusion is impinging directly upon the nerve – or just near to the nerve. Most often a bulge is relatively benign. In truth, a high percent of people picked randomly off the street not complaining of back pain at all are found to have bulging discs on MRI. This is normal; bulging is part of the shock-absorbing function of discs. Sometimes a bulge may create enough local swelling to put pressure on the sciatic nerve and cause pain. When the issue is swelling and inflammation, an eRemedy chosen from https://eremedyonline.com/module/23/back-pain/ can reduce swelling and rapidly relieve pain. Icing is good as well. Orthopedists inject steroids in order to temporarily reduce swelling locally, but this option is painful and expensive. The dynamic of neck pain is very similar to back pain. 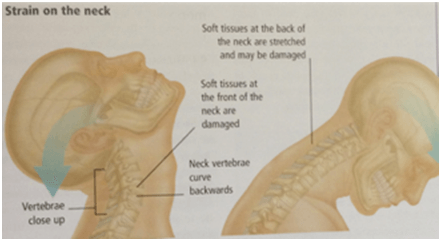 Same muscle spasm/facet joint vicious cycle occurs in the neck. It may result from injury, sleeping in an wrong position, or even from having too much tension in life. Stress frequently leads to tension in the neck; such tension then jams facet joints just as it can in the lower back. This is why people love to have neck massage! The process of preventing and treating neck pain is the same as described for low back pain. Pilates actually is very useful even for the neck! If an injury, icing alternating with heat, along with massage, can be very useful. Further, an appropriately chosen eRemedy in https://eremedyonline.com/module/23/back-pain/ can predictably bring about rapid relief. A more severe instance of neck injury happens when there is whiplash from a rear-end car crash. This once again is a muscle spasm-facet joint vicious cycle. Chiropractics is excellent in curing whiplash. Cervical collar is often prescribed for a few weeks and does provide traction, taking pressure off facet joints. However, it also causes neck muscles to weaken and shrink. When the collar comes off, the weak muscles have difficulty holding up the head, so the vicious cycle resumes all over again. Conservatively, if there is severe back or neck pain and spasm, it’s best to be examined, and have an MRI, if you can. This rules out more severe possibilities. Meanwhile, to get quick relief, at least try an eRemedy via https://eremedyonline.com/module/23/back-pain/. was declined by my bank . Can you provide an option to pay with a Visa card? Sure. The shopping gives options for both. This information can prove to be very useful for individuals with neck spasms and other types of body pain. Thank you for sharing.